This belly ring is perfect to keep you in style during pregnancy . Shaft is made of bioflex material that stretches and is comfortable to wear. Measurement: 14g (1.6 mm). 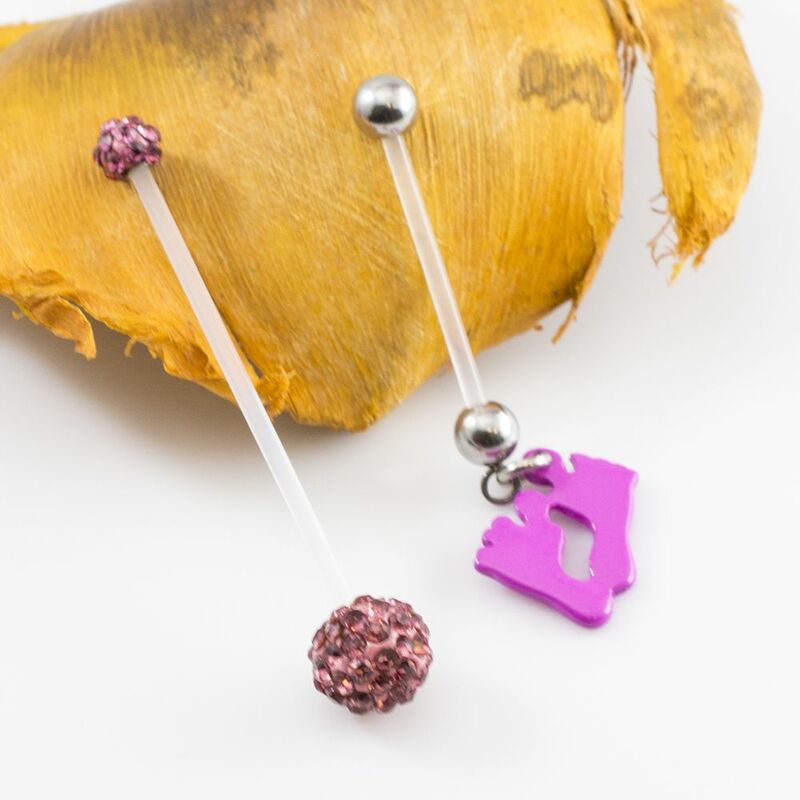 This pair comes with two distinct belly rings with five different choices to choose from.